The theme for this Wonderful Handmade Wednesday was another serendipitous moment: I was listening to my Pandora station when "Drops of Jupiter" by Train came on, a song of whimsy and longing. 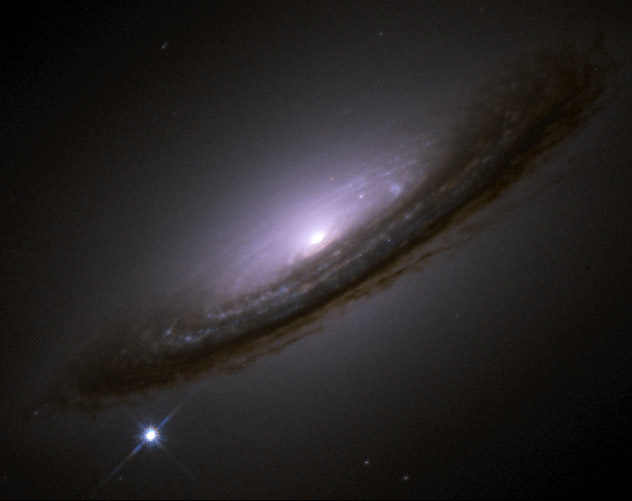 Even as a small child, the mysteries and beauty of outer space captured my imagination. I'll always remember the first time my brother and I focused on the rings of Saturn with a cheap Sears telescope - it was absolutely thrilling and hooked me even greater. Dr. Carl Sagan (who, unfortunately, is deceased) and Dr. Neil deGrasse Tyson are heroes, as well as the people who design, build and manage the amazing telescopes and spacecraft that help bring back such fascinating information of what's "out there." I walk out each night, look up and check out what's happening in our huge desert sky. How many of us have not wanted to dance though the universe or slide along the Milky Way? 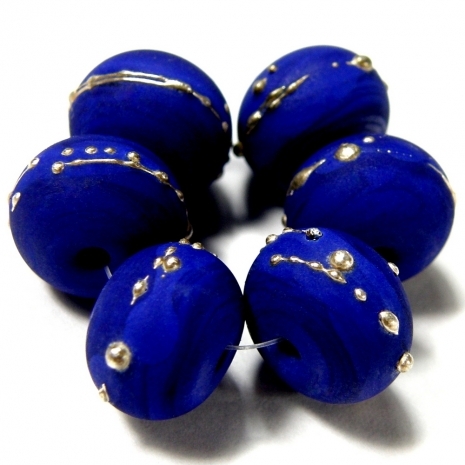 Looking like satellites orbiting a dark blue water planet, these handmade lampwork glass beads by Charlotte of Covergirlbeads feature cobalt blue glass and fine silver dots. 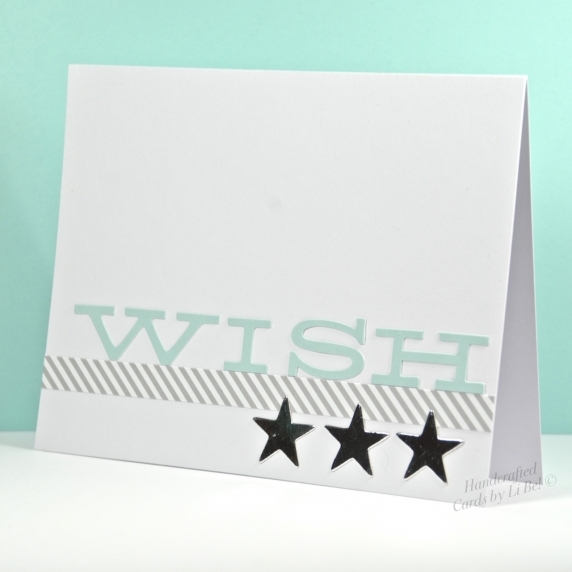 The recipient of this beautiful handmade card by Lisa of Cards By Li Be! will definitely make a wish upon a star on their birthday. 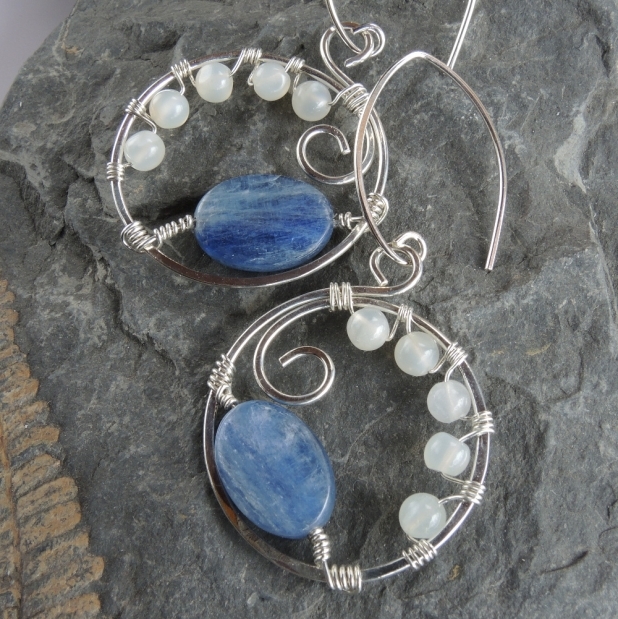 The moonstone and kyanite gemstones used in the "Blue Moon" earrings, handmade by Pamela of Pebbles at my Feet, positively shimmer and glow when worn. 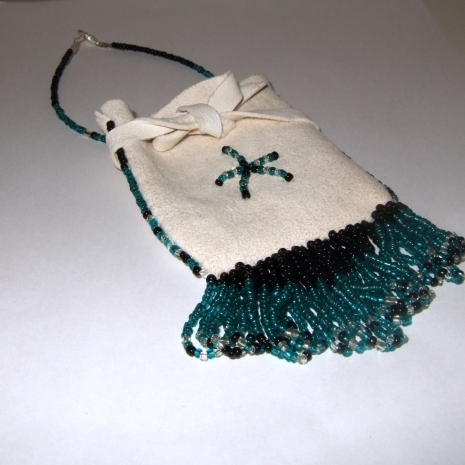 Used by tribal members to carry charms, coins, tobacco or herb, the white leather amulet / medicine bag, handmade by Carmon of Wooleycreek Tribal Jewelry, has beaded fringe and a single star design. 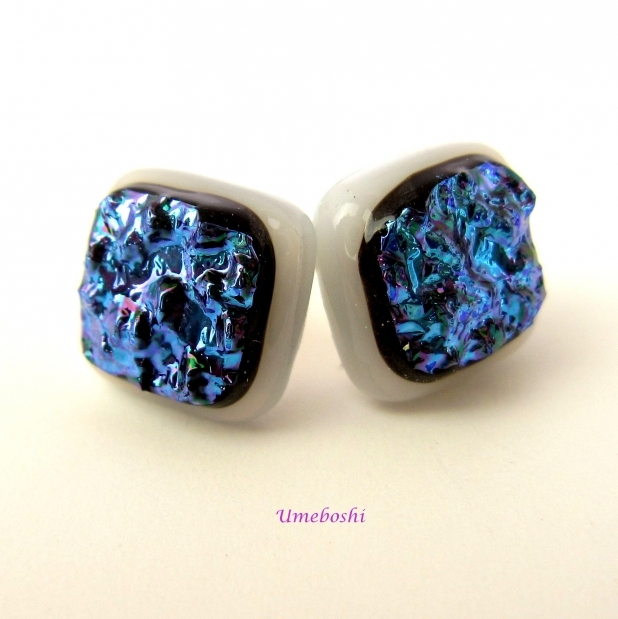 Reminding me of some photos of deep space by Hubble, these "Blue Horizon" earrings, handmade by Jo of Umeboshi, were created from fused dichroic glass. 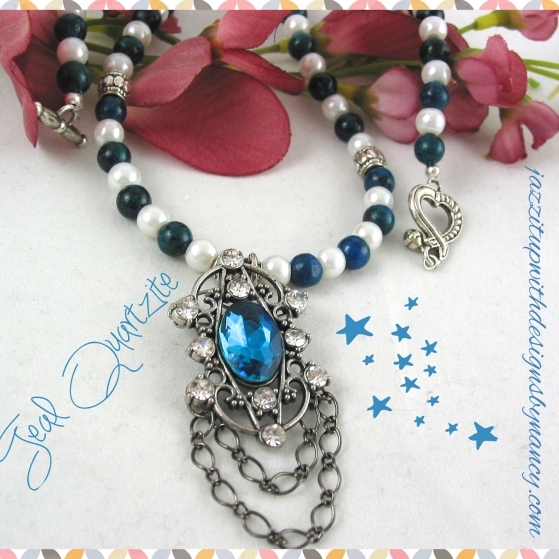 I hope you enjoy this gathering of celestial inspired handmade items. If you would like to make my day and the day of the artists featured, please leave a comment. And any promotion you can do will be greatly appreciated. Thanks! Oh my gosh, I love this week's them! Thanks so much for including my little bag! 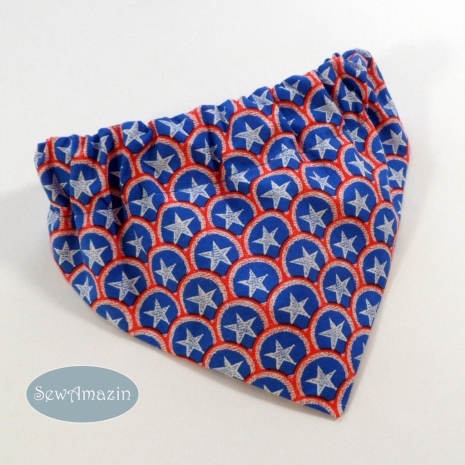 Glad to include your starry dog bandana, Donna. Thank you for the pins! A handmade universe of beauty! 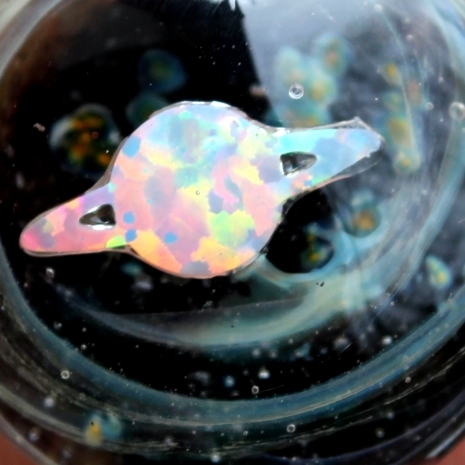 This blog is a universe of handmade beauty! I love turning my eyes to the skies and being overwhelmed by the magnificence of the stars. 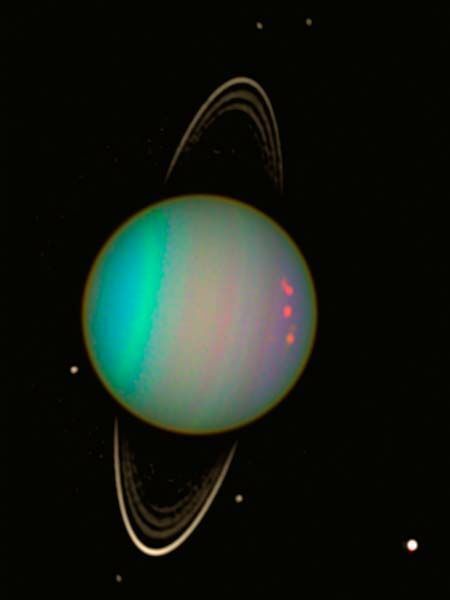 How wonderful the celestial inspiration can be for artisans. These selections are wonderful examples of this inspiration! Sharing. Me, too, Jo! I go outside very night and just look and drink all that wonder in. Thank you for the comment and the shares. 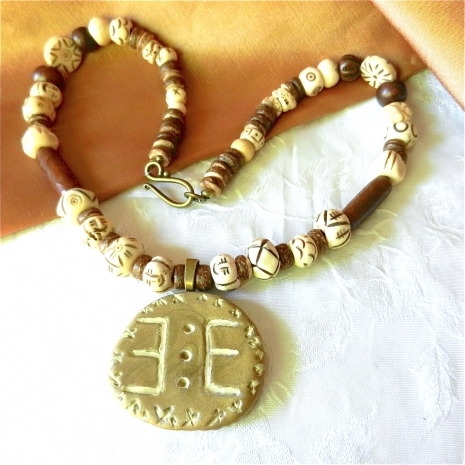 Thank you for including the Usins symbol necklace and for the inspired blog. Sharing now. 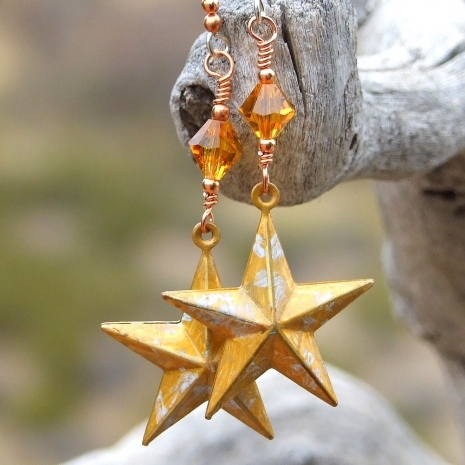 Thanks so much for featuring my "Blue Moon" earrings in this star-studded collection. I so enjoy the dark night skies here in Colorado and when roaming in our little camper. Your post is timely with our solar system is in the news with the Pluto fly-by. Great post. I do remember the stars in Colorado and how the Milky Way looked like one big silver brush stroke across the sky. Am sure you're enjoying your trip. Hope you do a blog post about it, sharing photos. Glad you enjoyed the post. What a thrill to have you stop by and leave a comment, Chris. Thank you - it is great appreciated!